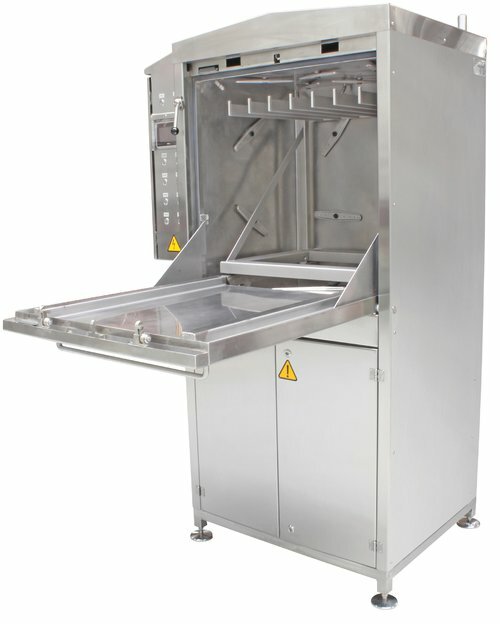 The KH-01 is a system for washing, sanitation, and drying of crates, pallets, bins, vats, etc. 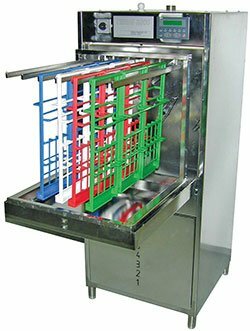 Configured with 15 rotating spray heads on the top, bottom and 3 sides of the washer cabinet, it is ideal for cleaning and disinfecting knives, metal mesh gloves, sharpening steels and other items. 15 rotating spray heads on the top, bottom and 3 sides of the washer cabinet. 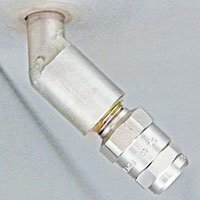 6 fixed jet-pipe spray manifolds for complete coverage inside of cabinet. 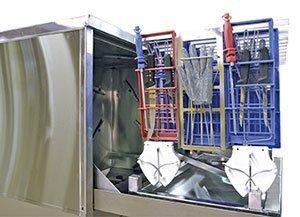 3 pre-set, 3-stage wash programs adaptable for various washing requirements, cleaning schedules and materials. Time and temperature for each wash stage are independent and programmable.